This bestseller from Centerstream Publications has now been expanded to 16 pages, with the most comprehensive artist and tunings list ever compiled! This is the only book to illustrate more than 75 different tunings in easy-to-read diagrams. 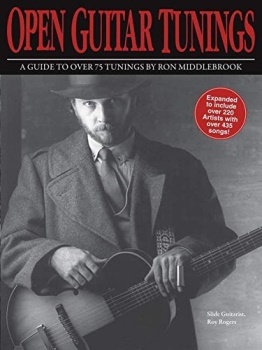 Includes tunings used by artists such as Chet Atkins, Michael Hedges, Jimmy Page, Joe Satriani and many others for rock, blues, bluegrass, folk and country styles including Open D (for slide guitar), Em, Open C, modal tunings and many more!